Twitter rolled out a 280 character limit for most of its users Tuesday, and, predictably, lots of people are unhappy. That doubles the original 140 character limit that Twitter has maintained since it launched in 2006. 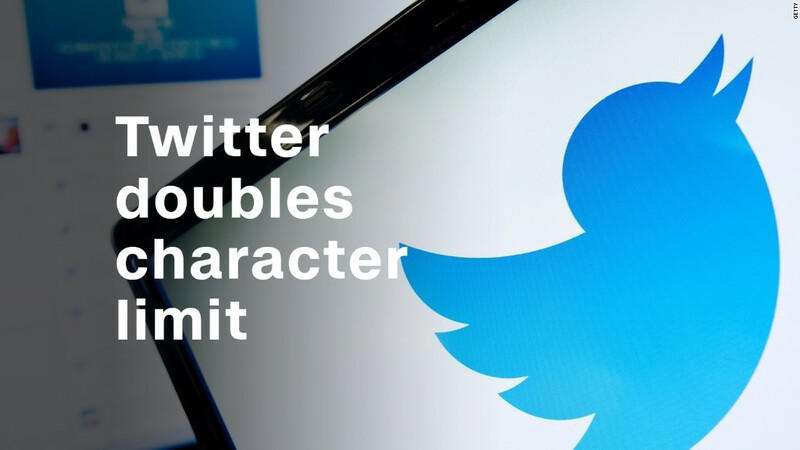 Twitter (TWTR) began testing longer tweets in late September, and found that once the novelty of tweeting longer wore off, most people in the test group didn't use all of the available characters. According to the company, only 5% of tweets sent by people in the 280-character test group were longer than 140 characters, and just 2% were over 190 characters. Many users complained about the initial tests. Now that just about everyone's got 280 characters to work with, more people say they're frustrated or confused by the decision. Others are using new characters to make jokes. My eyes glaze over at every tweet over 140 characters. why why why why why why why why why why why why why why why why why why why why why why why why why why why why why why why why why why why why why why why why why why why why why why why why why why why why why why why why why why why why why why why why why why why why why why? Other people were curious about how the new parameters will change the way people interact on the platform. The big question on everyone's mind is how President Donald Trump, an avid Twitter user, will use the expanded space. The president tweeted two messages Tuesday that went beyond the old 140 character limit. Ed Gillespie worked hard but did not embrace me or what I stand for. Don't forget, Republicans won 4 out of 4 House seats, and with the economy doing record numbers, we will continue to win, even bigger than before! But another Trump doesn't appear to like the change. Donald Trump, Jr. tweeted a critique of the expanded character limit -- although he used 195 characters to do so.
.@Twitter how about a compromise... you give everybody ONE 280 character a day? 140 was an art form, 280 is everyone's chance to write their Gettysburg Address that no one wants to actually read.